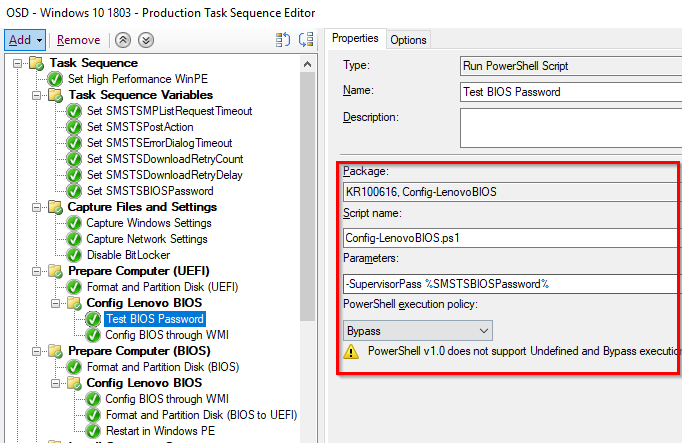 The Lenovo BIOS Configurator lets you configure the BIOS of a Lenovo computer using Powershell through WMI (Windows Management Instrumentation). 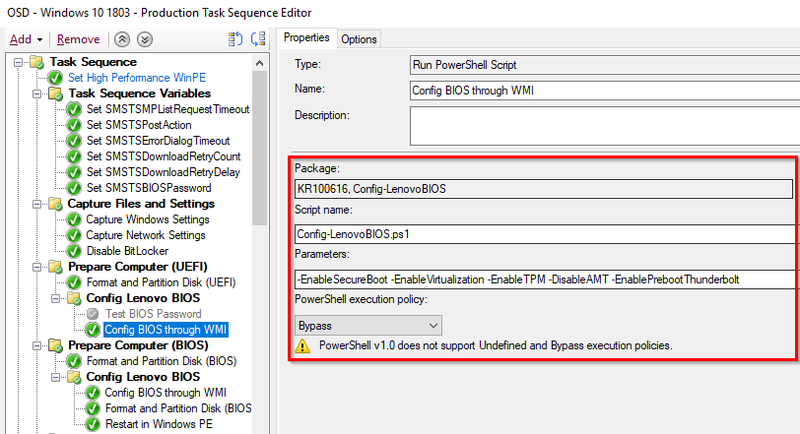 You can use the script during OSD (Operating System Deployment) with Configuration Manager. 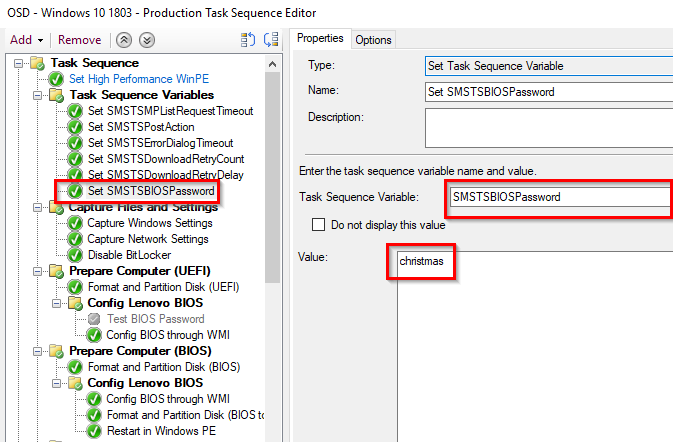 Below is an example of setting the Supervisor password in a variable: SMSTSBIOSPassword and then using the variable when running the script. N.b: It’s currently not supported to hide the value of the variable (1806 feature). I’m still working on that, as well as other improvements to when running this with Configuration Manager. The script is an on-going process and will have additions and changes added regularly. It goes without saying, but test this before using in production. The script was made for internal needs and use. Also, made for practicing Powershell and learning. There might be better “solutions” out there. But I opted out of leveraging switches to toggle key functionality only because I didn’t want to have to hard code all that functionality. 🙂 This is great – thanks for sharing the fruits of your hard labor! You’re too kind and I’m no champ either! Like yourself, I’m tinkering, practicing, and just trying to get things working in our environment. Your solution makes it really simple for anyone to follow. Thanks for taking the time to reply!